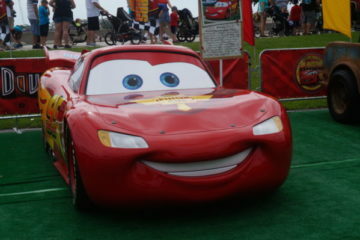 Walt Disney World is known worldwide for it’s family-friendly fun and entertainment. There are dozens of attractions and shows that everyone in the entire family can enjoy together, and that’s honestly what a trip to Walt Disney World is all about! But, that doesn’t mean that the Vacation Capital of the World doesn’t have some pretty amazing thrills as well. 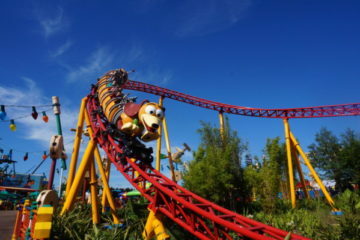 Some of these top thrills can be experienced on the outstanding roller coasters in WDW’s theme parks. While there aren’t any true, white-knuckle coasters like those found at Cedar Point or a Six Flags, these coasters all have their own very unique sets of thrills and “Whoa!” moments. Let’s take a look at the Roller Coasters of WDW: The Definitive Ranking! The Barnstormer Starring The Great Goofini (that’s Goofy’s magician name, I think!) is a fun little junior roller coaster. I’ve been on this one several times with my kids (and embarrassingly several times before I even had children) and I enjoy it, mostly because of the kids’ faces, each and every time. The thrills aren’t big and it’s absolutely perfect for your little one’s first roller coaster experience. The attraction is located in the Storybook Circus section of the Magic Kingdom and if you do have kids this might be a section you’ll be spending some time in, with Dumbo the Flying Elephant, Pete’s Silly Side Show (character meet & greet area), and the Casey Junior Splash & Soak Station nearby! This one is a wild mouse style roller coaster that doesn’t look all that thrilling at first glance. It tops out at only 29-mph so your might even pass right by it while walking through Dinoland. That would be a big mistake! This is a great coaster that most of the family can enjoy, and the spinning of the cars adds a TON of fun to the overall experience. I would say this is definitely not a roller coaster you will want to ride on a full stomach as you will spin around an awful lot in addition to the few drops that it has. So hit this one before you walk into Restaurantosaurus for your Double Angus Bacon Cheeseburger. Trust me, you’ll thank me later! 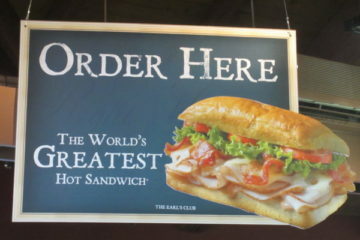 The only reason this one isn’t ranked higher on the list is its length. This roller coaster has it all: beautiful theming inside and outside, amazing audio animatronic characters, fantastic music, and some great little hills and thrills. It’s just entirely too short. 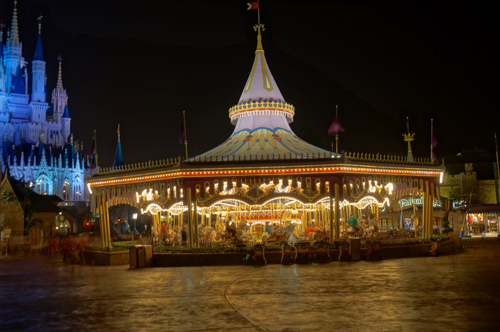 I understand that Disney’s Imagineers only had a small footprint to work with for the attraction and where it would have to fit into New Fantasyland, but that doesn’t mean I still can’t wish it was just a little bit longer of an experience! Still, it’s a “must-do” for me and my family on each and every trip! Oh, and here’s an extra, fun little tip that I recently learned from Steve Barrett, the author of the “Hidden Mickey’s of Walt Disney World” and other Hidden Mickey Books: there is a Hidden Oswald The Lucky Rabbit inside this attraction! Please let me know if you’ve seen it or know where it is! The only (current) roller coaster in Disney’s Hollywood Studios, Rock ’N” Roller Coaster has been thrilling guests since it opened in 1999. This one is the most outrageous coaster Walt Disney World has to offer, with a launch of 0 to 57 mph in under 3 seconds! This coaster also has a few inversions so yes, you will be upside down! All of this excitement is set to the music of the legendary rock band Aerosmith, one of the most iconic American bands over the last forty years. Throw in a fun story of being late for a rock concert in Los Angeles, and you have a pretty awesome thrill ride! I’d still recommend making a FastPass+ reservation for this one, even though it’s been around for quite a while. It’s still very popular and the lines can get pretty long, especially in peak times. 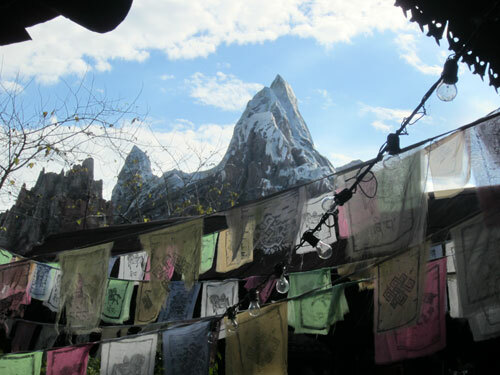 Expedition Everest is truly a one of a kind Disney attraction experience. From the moment you set foot in the queue (and this is actually one that, if you haven’t experienced it before, you should absolutely wait in the queue!) you feel like you have somehow been transported to the Himalayan Mountains in Nepal. 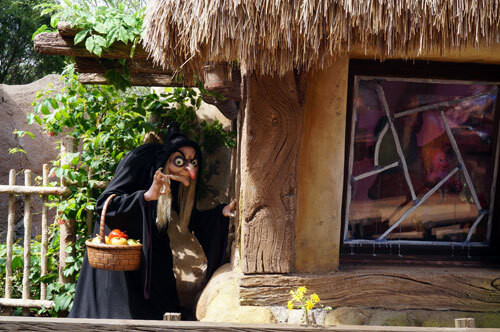 Disney’s Imagineers spent a significant amount of time in Nepal researching for this attraction, and it really shows. From the pictures on the walls to the Yeti artifacts everywhere, this is really one of the best (if not THE BEST) queue Disney has ever put together. Then you actually board the roller coaster and are in for a wild ride (without J. Thaddeus Toad) full of surprises and big drops while you escape the clutches of the mysterious Yeti. 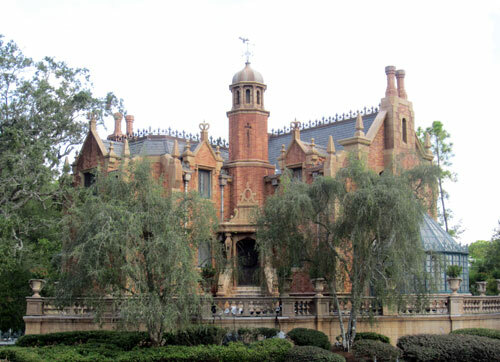 From start to finish, this is a classic Disney attraction that really can’t be missed! 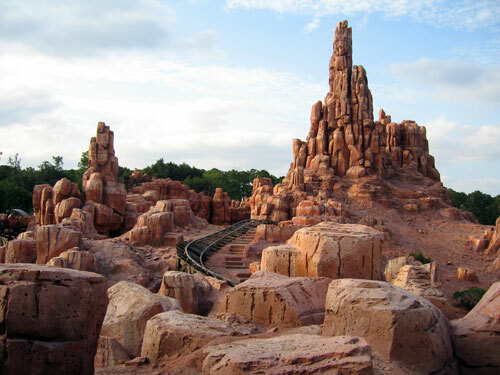 There’s just something about Big Thunder Mountain (or the Runaway Train as my mom calls it for some reason) that just screams “Classic Disney Roller Coaster!” I love absolutely everything about this attraction. The queue (especially since its update a few years ago) is fantastic, features great music, awesome voiceover spiels, and fun interactive elements. Then there is the actual attraction itself! The “Wildest Ride in the Wilderness” doesn’t disappoint, with some great drops, three separate lift hills (with that classic roller coaster sound as you climb! ), and really great on-ride sights and effects. 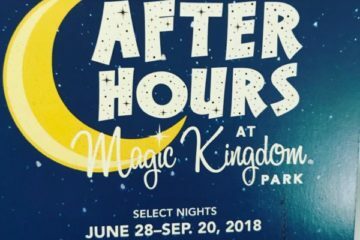 My favorite tip for riding this classic Walt Disney World attraction is that you absolutely need to ride this one twice (at least) as riding during the daytime is a completely different experience than riding at night! The third peak of Magic Kingdom’s “Triple Mountain Whammy” (a moniker coined by “Must Do Disney” host, Stacey J. Aswad) is the iconic, amazing, incomparable Space Mountain! This classic coaster opened in 1975 and remains one of the biggest draws anywhere on Walt Disney World property. Space Mountain boasts a top speed of 28 mph (okay, maybe “boasts” isn’t the right word) but it feels like you’re going an awful lot faster than that, of course, with the ride taking place completely in the dark. And it’s really, really dark! So dark you can’t see your hand in front of your face, which is why this one had to be at the top of my list. My absolute favorite seat on this one is the front seat and if you’re lucky enough to sit there you are totally in for the ride of your life! So there you have it: the Definitive Ranking of the roller coasters of Walt Disney World! Of course, this is only one guy’s opinion, and I’d love to hear what you have to say about it! Maybe I’m right on with what your list would be, or maybe I’m WAY off base! 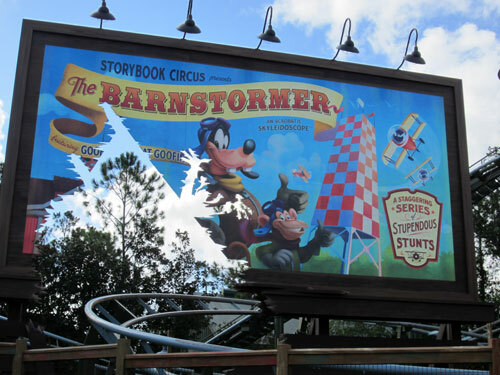 Unless, of course, you want to put The Barnstormer at the top of your list. In that case you and I will never see eye to eye! Please feel free to comment here, on Facebook, send me an email to phil@eartotheretravel, or call the voice line at (267) 551-1971 to let me know what you think of the list! As always, thanks for reading and have a great week! What is the best roller coaster at Disney World?